iSOLD It is a proud member of the Plastic Loose Fill Council, and we are an official “Peanut Hotline” collection center for expanded polystyrene (EPS) loose fill packaging–better known as foam “peanuts” or “popcorn”. 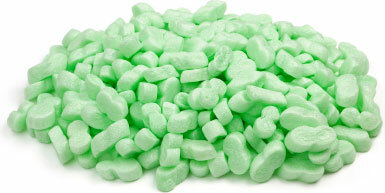 The next time you receive a box filled with foam peanuts, don’t throw the packaging in the trash! EPS occupies a tremendous amount of space in landfills, and it is not biodegradable. Instead, bring your clean foam peanuts to us. We will reuse them in our outgoing product shipments. In fact, EPS peanuts can be reused many times, saving the natural resources used in producing them, and reducing landfill waste. We are proud to be helping our neighbors in the community preserve the planet…one “peanut” at a time! The latest info and news from iSOLD It.